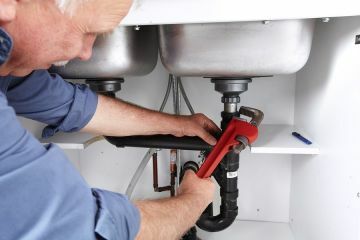 Looking for a reliable commercial plumber for your Strasburg property? Commercial buildings require as much or more professional plumbing services as residences. Commercial buildings often receive more "abuse" on their facilities than do residences. Hiring a skilled commercial plumber in Strasburg Missouri doesn't have to be a challenge. Kevin Ginnings Plumbing Service Inc.'s commercial plumbers are hand-selected, fully licensed and thoroughly trained in the best commercial plumbing services in Strasburg. Give us a call today for a free quote! Commercial properties face a multitude of plumbing issues. Kevin Ginnings Plumbing Service Inc. is on standby to handle all of your Strasburg commercial plumbing needs. From clogged toilets and drains, to heating system failure and even regular maintenance programs, Kevin Ginnings Plumbing Service Inc. provides reliable plumbing services for a variety of commercial clients, including hotels, restaurants, retail, medical facilities, offices, apartment and condo HOAs, and so much more.